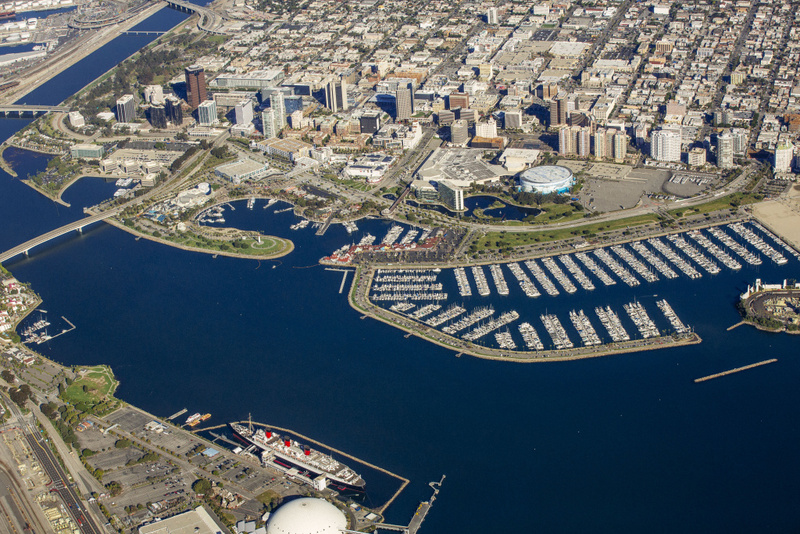 Aerial views of Long Beach show low-lying communities that could be significantly affected by a rise of just a few feet in the sea level. It’s hard to imagine how much higher sea levels can become with climate change, but this week’s king tide gave us a glimpse. That’s when the moon and sun align just right and we see bigger tides than normal. KPCC took a plane ride with the nonprofit Heal the Bay and Lighthawk Conservation Flying to check out the tidal event along the Southern California coastline. From the sky, it’s clear that much of SoCal is at or just above sea level and protections like sea walls are eroding. The most recent national climate assessment predicts sea levels will rise between four and eight feet by the end of the century. Areas like Newport Beach are especially vulnerable and rising tides could displace thousands and cost billions of dollars.